PW Comics World: More To Come | Listen Free on Castbox. 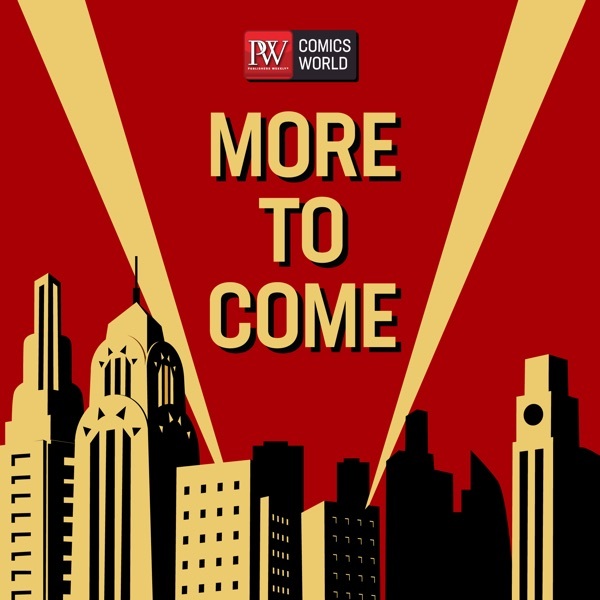 Heidi MacDonald, Eisner-nominated writer of The Beat; Calvin Reid, senior news editor for Publishers Weekly Magazine and editor of PW Comics World and producer Kate Fitzsimons present More To Come: PW's weekly comics podcast. A look at 2018 graphic novel sales; movie news on ‘Avengers: Endgame,’ 'Shazam,’ 'Hellboy' and other comics movies and TV news; MariNaomi’s Database of Diversity; comics news from AWA and Kodansha; and the 2019 comics awards season. Interviews with comics creators Keith Knight, James Romberger, Kelsey Wroten and Liza Donnelly at the 2019 MoCCA Arts Festival as well as this month's Star Gazing feature with PW Graphic Novel Reviews Editor Meg Lemke highlighting great upcoming graphic novels. Kate interviews Eisner Award-winning comics creator Brian Michael Bendis about his new books 'Action Comics: Invisible Mafia' and 'Superman: The Unity Saga: Phantom Earth' for DC Comics; as well as his new young adult-themed line Wonder Comics; and his thoughts on writing Superman and superheroes. The 'Captain Marvel' movie and its worldwide financial success; a peek at 'Shazam' and its longtime rivalry with Marvel's Captain Marvel; Netflix's new slate of original animation; First Second's socially responsible World Citizen Comics line; comics for young readers from Marvel and DC; and ReedPop adds new shows in Florida and Africa. Drama at the ComicsPro annual meeting; PW's annual Comics Retail feature; a new CEO at IDW; Black Panther wins three Oscars; Heidi talks Captain Marvel with the New York Times; the MeToo movement takes on anime voice actor Victor Mignona; plus PW graphic novel review editor Meg Lemke's Star Gazing feature on great new graphic novels. An interview with novelist and first-time comics creator Mira Jacob about the forthcoming publication of her new book 'Good Talk: A Memoir In Conversations,' a graphic memoir that began with awkward but illuminating questions from her six-year old mixed-race son about race, identity, and family relations in an era of divisive American politics. Spike Trotman, founder of comics publisher Iron Circus; Black Comics Expo 2019; troubles at Patreon; the initial guest list for TCAF; the nominees for the 2019 Dwayne McDuffie awards; a new installment of Meg Lemke's Star Gazing feature, highlighting great new graphic novels; and much, much more. An interview with comics publisher Annie Koyama, founder of the award-winning Koyama Press. Koyama announced last year that she will be shutting down the company in 2021 to focus on patronage.